Cognitive behavioral group therapy has developed several techniques in order to make the treatment of depressive and anxiety disorders more effective. Particularly, the “homework” is a tool in order to practice therapeutic skills in ecological settings. When working with this aim, it is often necessary to support patient compliance. Researches have shown the efficacy of sending a text to the patients in order to support the patient compliance, but only a few data are available on the effectiveness of sending text in the treatment of depression and anxiety. Verify the effectiveness of sending text in the treatment of depression and anxiety in order to support patient compliance. Participants were enrolled for cognitive behavioral group therapy. Once completed the treatment, a sub-group of participants (Yes SMS group) was reached by a weekly text message for the whole 3 months time between the end of the intervention and the scheduled follow-up session. All the participants were assessed for the overall psychopathological symptoms, depression, and anxiety before and after the group intervention, and at the 3 months follow up. Both groups improved from pre to post-treatment in all the assessed dimensions; the enhancement endures up to the 3 months follow up. Comparing the two groups regardless of the diagnosis, the Yes SMS group shows significant better outcomes in depression at follow-up and in anxiety both at post-treatment and at follow-up. The weekly SMS as prompt seems to enhance the patient’s compliance. Keywords: Cognitive behavioral therapy, Short message service, Anxiety, Depression, Compliance, Mindfulness, Relaxation. © 2019 Truzoli et al. The prevalence of Anxiety and Depression Disorders is high; at a global level, it is estimated that the percentage of the world’s population suffering from depression is 4.4%, whereas 3.6% suffer from anxiety [1Depression and Other Common Mental Disorders 2017.]. In Italy, the prevalence at 12 months of each affective disorder is equal to 3.5% (IC 2.9-4.0) and the prevalence at 12 months of each anxiety disorder is equal to 5.1% (IC 4.0-6.3) [2Alonso J, Angermeyer MC, Bernert S, et al. Prevalence of mental disorders in Europe: Results from the European Study of the Epidemiology of Mental Disorders (ESEMeD) project. Acta Psychiatr Scand Suppl 2004; (420): 21-7. [PMID: 15128384] ]. In both diagnostic categories, the prevalence is higher for females. Pharmacological therapy is common in the treatment of these disorders [3Hollingworth SA, Burgess PM, Whiteford HA. Affective and anxiety disorders: Prevalence, treatment and antidepressant medication use. Aust N Z J Psychiatry 2010; 44(6): 513-9. [PMID: 20482411] ]. However, it has been observed that the psychopharmacological approach has a variable set of outcomes, from no response to partial response [4Pigott HE, Leventhal AM, Alter GS, Boren JJ. Efficacy and effectiveness of antidepressants: Current status of research. Psychother Psychosom 2010; 79(5): 267-79. [http://dx.doi.org/10.1159/000318293] [PMID: 20616621] , 5Buoli M, Dell’osso B, Bosi MF, Altamura C. Slow vs standard up-titration of paroxetine in the treatment of panic disorder: A prospective randomized trial. Psychiatry Clin Neurosci 2010; 64(6): 612-9. [http://dx.doi.org/10.1111/j.1440-1819.2010.02136.x] [PMID: 210401 88] ]. In consideration of the prevalence of depression and anxiety and the levels of drug resistance [6Cukor D, Rosenthal DS, Jindal RM, Brown CD, Kimmel PL. Depression is an important contributor to low medication adherence in hemodialyzed patients and transplant recipients. Kidney Int 2009; 75(11): 1223-9. [http://dx.doi.org/10.1038/ki.2009.51] [PMID: 19242502] , 7Trivedi MH, Rush AJ, Wisniewski SR, et al. Evaluation of outcomes with citalopram for depression using measurement-based care in STAR*D: Implications for clinical practice. Am J Psychiatry 2006; 163(1): 28-40. [http://dx.doi.org/10.1176/appi.ajp.163.1.28] [PMID: 16390 886] ], psychological therapies are often integrated with pharmacological therapy in the treatment of these conditions [8Kocsis JH, Gelenberg AJ, Rothbaum BO, et al. Cognitive behavioral analysis system of psychotherapy and brief supportive psychotherapy for augmentation of antidepressant nonresponse in chronic depression: The REVAMP Trial. Arch Gen Psychiatry 2009; 66(11): 1178-88. [http://dx.doi.org/10.1001/archgenpsychiatry.2009.144] [PMID: 198846 06] , 9Wiles N, Thomas L, Abel A, et al. Cognitive behavioural therapy as an adjunct to pharmacotherapy for primary care based patients with treatment resistant depression: results of the CoBalT randomised controlled trial. Lancet 2013; 381(9864): 375-84. [http://dx.doi.org/10.1016/S0140-6736(12)61552-9] [PMID: 232195 70] ]. Cognitive Behavior Therapy (CBT [9Wiles N, Thomas L, Abel A, et al. Cognitive behavioural therapy as an adjunct to pharmacotherapy for primary care based patients with treatment resistant depression: results of the CoBalT randomised controlled trial. Lancet 2013; 381(9864): 375-84. [http://dx.doi.org/10.1016/S0140-6736(12)61552-9] [PMID: 232195 70] ]; is an example of the evidence-based individual psychological intervention for depression and anxiety [10Deacon BJ, Abramowitz JS. Cognitive and behavioral treatments for anxiety disorders: A review of meta-analytic findings. J Clin Psychol 2004; 60(4): 429-41. [http://dx.doi.org/10.1002/jclp.10255] [PMID: 15022272] -12Cuijpers P, Berking M, Andersson G, Quigley L, Kleiboer A, Dobson KS. A meta-analysis of cognitive-behavioural therapy for adult depression, alone and in comparison with other treatments. Can J Psychiatry 2013; 58(7): 376-85. [http://dx.doi.org/10.1177/070674371305800702] [PMID: 238 70719] ], often used to supplement pharmacotherapy. Even though there is less documentation on the effec-tiveness of Cognitive Behavioral Group Treatments (CBGT), there are also studies that indicate promising results [13Lockwood C, Page T, Conroy-Hiller T. Comparing the effectiveness of cognitive behaviour therapy using individual or group therapy in the treatment of depression. JBI Library Syst Rev 2004; 2(5): 1-33. [PMID: 27820211] -16Truzoli R, Rovetta C, Viganò C, Marinaccio PM, Ba G, Reed P. Group-based relaxation response skills training for pharmacologically-resistant depressed and anxious patients. Behav Cogn Psychother 2017; 45(2): 193-7. [http://dx.doi.org/10.1017/S1352465816000400] [PMID: 276 69887] ]. Some relaxation based cognitive behavioral approaches have also some efficacy across a range of clinical conditions, including anxiety [17Norton PJ, Price EC. A meta-analytic review of adult cognitive-behavioral treatment outcome across the anxiety disorders. J Nerv Ment Dis 2007; 195(6): 521-31. [http://dx.doi.org/10.1097/01.nmd.0000253843.70149.9a] [PMID: 17568301] ] and depression [18Jorm AF, Morgan AJ, Hetrick SE. Relaxation for depression. Cochrane Database Syst Rev 2008; (4): CD007142. [PMID: 18843744] , 19McGillivray JA, Evert HT. Group cognitive behavioural therapy program shows potential in reducing symptoms of depression and stress among young people with ASD. J Autism Dev Disord 2014; 44(8): 2041-51. [http://dx.doi.org/10.1007/s10803-014-2087-9] [PMID: 2463 4065] ]. CBT for depression and anxiety can easily be applied in group settings, which may prove more cost-effective [19McGillivray JA, Evert HT. Group cognitive behavioural therapy program shows potential in reducing symptoms of depression and stress among young people with ASD. J Autism Dev Disord 2014; 44(8): 2041-51. [http://dx.doi.org/10.1007/s10803-014-2087-9] [PMID: 2463 4065] , 20Dickson-Spillmann M, Kraemer T, Rust K, Schaub M. Group hypnotherapy versus group relaxation for smoking cessation: An RCT study protocol. BMC Public Health 2012; 12(1): 271. [http://dx.doi.org/10.1186/1471-2458-12-271] [PMID: 22475 087] ]. CBT uses techniques whose effectiveness is verified experimentally. Over time, CBT both individual and as a group- has developed several techniques in order to make the treatment more effective. In particular, the “home- work” is a tool used to practice therapeutic skills in ecological settings. When working with this aim, it is often necessary to support the patient’s compliance. The use of Short Message Service (SMS or text messa- ging) is a relatively recent possibility to support compliance and in general to support welfare and health promotion treatments [as a matter of fact, the first study on the effectiveness of text messages in the treatment of asthma dates back to 2002 [21Neville R, Greene A, McLeod J, Tracey A, Surie J. Mobile phone text messaging can help young people manage asthma. BMJ 2002; 325(7364): 600. [http://dx.doi.org/10.1136/bmj.325.7364.600/a] [PMID: 122 28151] ] and the first randomized clinical trial on smoking cessation was carried out in 2005 [22Rodgers A, Corbett T, Bramley D, et al. Do u smoke after txt? Results of a randomised trial of smoking cessation using mobile phone text messaging. Tob Control 2005; 14(4): 255-61. [http://dx.doi.org/10.1136/tc.2005.011577] [PMID: 16046689] ]. Delivering strategies via mobile-phone technology is particularly interesting because the use of mobiles is ext- remely widespread, also among Italians [23Istat. Cittadini, imprese e Ict 2017; 28]. Various studies have shown the effectiveness of sending a text to patients in order to support their compliance. For instance, Webb, Joseph, Yardley, and Michie [24Webb TL, Joseph J, Yardley L, Michie S. Using the internet to promote health behavior change: A systematic review and meta-analysis of the impact of theoretical basis, use of behavior change techniques, and mode of delivery on efficacy. J Med Internet Res 2010; 12(1): e4. [http://dx.doi.org/10.2196/jmir.1376] [PMID: 20164043] ] highlight that the effectiveness of Internet-based treatments has been enhanced by using additional methods of communication, among which the use of SMS. The available literature on the effectiveness of the use of SMS is however mostly medical setting focused and only a few data are available on the effectiveness of the SMS in depression and anxiety disorders. Although text messages can be used for different pur- poses [25Fjeldsoe BS, Miller YD, Marshall AL. Social cognitive mediators of the effect of the Mobile Mums intervention on physical activity. Health Psychol 2013; 32(7): 729-38. [http://dx.doi.org/10.1037/a0027548] [PMID: 22612557] ], they have often been used for behavior modi- fication; for instance to promote smoking cessation [26Rodgers A, Corbett T, Bramley D, et al. Do u smoke after txt? Results of a randomised trial of smoking cessation using mobile phone text messaging. Tob Control 2005; 14(4): 255-61. [http://dx.doi.org/10.1136/tc.2005.011577] [PMID: 16046689] , 27Brendryen H, Kraft P. Happy ending: A randomized controlled trial of a digital multi-media smoking cessation intervention. Addiction 2008; 103(3): 478-84. [http://dx.doi.org/10.1111/j.1360-0443.2007.02119.x] [PMID: 182693 67] ], to support physical activity [28Hurling R, Catt M, Boni MD, et al. Using internet and mobile phone technology to deliver an automated physical activity program: Randomized controlled trial. J Med Internet Res 2007; 9(2): e7. [http://dx.doi.org/10.2196/jmir.9.2.e7] [PMID: 17478409] , 29Prestwich A, Perugini M, Hurling R. Can the effects of implementation intentions on exercise be enhanced using text messages? Psychol Health 2009; 24(6): 677-87. [http://dx.doi.org/10.1080/08870440802040715] [PMID: 202 05020] ], send motivational messages [30Hurling R, Fairley BW, Dias MB. Internet-based exercise intervention systems: Are more interactive designs better? Psychol Health 2006; 21(6): 757-72. [http://dx.doi.org/10.1080/14768320600603257] ], provide a cue to action [31Moore MJ, Soderquist J, Werch C. Feasibility and efficacy of a binge drinking prevention intervention for college students delivered via the Internet versus postal mail. J Am Coll Health 2005; 54(1): 38-44. [http://dx.doi.org/10.3200/JACH.54.1.38-44] [PMID: 1605 0327] ], or for improving treatment adherence in schizophrenia [32Van Gent E, Knoppert Van Der Klein E. Improving compliance and treatment outcome in bipolar and schizophrenic patients by using Short Message Text Service (SMS). Int J Psychiatry Clin Pract 2010; 14., 33Montes JM, Medina E, Gomez-Beneyto M, Maurino J. A short message service (SMS)-based strategy for enhancing adherence to antipsychotic medication in schizophrenia. Psychiatry Res 2012; 200(2-3): 89-95. [http://dx.doi.org/10.1016/j.psychres.2012.07.034] [PMID: 229 01437] ]. Webb et al. [24Webb TL, Joseph J, Yardley L, Michie S. Using the internet to promote health behavior change: A systematic review and meta-analysis of the impact of theoretical basis, use of behavior change techniques, and mode of delivery on efficacy. J Med Internet Res 2010; 12(1): e4. [http://dx.doi.org/10.2196/jmir.1376] [PMID: 20164043] ] suggest that personal contact via text message could support behavior change and influence in this way health behavior at any time. The aim of this study is to verify the effectiveness of the SMS in order to support patient’s compliance in exercising relaxation and mindfulness, comparing two outpatient groups who underwent the same treatment (CBGT), but where only one group received a motivational weekly SMS. Seventy-nine participants (24 males and 55 females; mean age 49.86, ±11.80) were recruited initially. Patients had received a diagnosis of either Anxiety Disorder (N= 32; 10 males and 22 females) or Depressive Disorder (N= 47; 14 males e 33 females). The diagnostic categories, in according to DSM 5, among anxiety disorders were Generalized Anxiety Disorder (N=15), Unspecified Anxiety Disorder (N = 9), and Adjustment Disorder with anxiety symptoms (N=8). The diagnostic categories among the depressive disorders were: Persistent Depressive Disorder with anxious distress (N=21), Persistent Depressive Disorder (N=2), Major Depressive Disorder (tot 24: Single Episode N=14, Recurrent Episode = 10). After the psychological treatment, a subgroup of 39 participants out of 79 (Yes SMS Group) was reached by a weekly SMS. The mean age of this subgroup was 49.61 (±13.43), with 14 males and 25 females; 16 participants had received a diagnosis of anxiety and 23 of depressive disorder; the second subgroup (No SMS Group) had a mean age of 50.0 (± 11.01), with 10 males and 30 females; 16 participants had received a diagnosis of anxiety and 24 of depressive disorder. All the psychiatric diagnoses have been made through psychiatric interviews conducted by senior Psychiatrists, who are unrelated to this study, not using psychiatric tests. Age between 18 and 65; established the diagnosis of Anxiety or Depression, signed informed consent and partial response to pharmacological treatment (following the guide-lines [34Kennedy SH, Milev R, Giacobbe P, et al. Canadian Network for Mood and Anxiety Treatments (CANMAT) Clinical guidelines for the management of major depressive disorder in adults. IV. Neurostimulation therapies. J Affect Disord 2009; 117(Suppl. 1): S44-53. [http://dx.doi.org/10.1016/j.jad.2009.06.039] [PMID: 1965 6575] -36 Generalised anxiety disorder and panic disorder in adults: Management | Guidance and guidelines | NICE. ]. All patients had received at least two cycles of drug treatment with adequate duration and dosage for each cycle as indicated by the guidelines, for a mean period of 3 months prior to their referral to the psychological outpatients Unit. Personality disorders, intellectual disability comorbi- dities, drug/alcohol addiction, schizophrenia and other psychotic disorders, and/or anxiety and depressive disorders due to medical condition. A 90-item self-report instrument evaluating nine symptom dimensions: Somatization, Obsessive-Compulsive, Interper-sonal Sensitivity, Depression, Anxiety, Hostility, Phobic Anxiety, Paranoid Ideation, and Psychoticism. The sum of the 90 items produces the Global Severity Index (GSI), a measure of overall psychological distress. The internal reliability (Cronbach α) of the scales ranges from 0.74 for hostility to 0.97 for the GSI [38Prinz U, Nutzinger DO, Schulz H, Petermann F, Braukhaus C, Andreas S. Comparative psychometric analyses of the SCL-90-R and its short versions in patients with affective disorders. BMC Psychiatry 2013; 13: 104. [http://dx.doi.org/10.1186/1471-244X-13-104] [PMID: 23537 095] ]. However, factor analytic studies of the Italian version have suggested that the GSI is an optimal measure for the assessment of distress symptoms [39Prunas A, Sarno I, Preti E, Madeddu F, Perugini M. Psychometric properties of the Italian version of the SCL-90-R: A study on a large community sample. Eur Psychiatry 2012; 27(8): 591-7. [http://dx.doi.org/10.1016/j.eurpsy.2010.12.006] [PMID: 213 34861] ]. A 21 item self-report rating inventory that assesses the clinical symptoms of depression by asking about feelings over the past week. The score is a sum of the positive answers, ranging from 0 to 63, and scores of 10 or greater reflects the presence of some level of depression. The internal reliability (Cronbach α) of the scale is between 0.73 and 0.92, and a concurrent validity between 0.55 and 0.73 for non-psychiatric subjects [41Beck AT, Epstein N, Brown G, Steer RA. An inventory for measuring clinical anxiety: Psychometric properties. J Consult Clin Psychol 1988; 56(6): 893-7. [http://dx.doi.org/10.1037/0022-006X.56.6.893] [PMID: 320 4199] ]. A 21 item clinician-administered questionnaire used to indicate depression and evaluate recovery in adults. Scores of 8 or higher indicate depression, and a non-clinical Italian sample has been found to have a mean score of 3.5 [43Scimeca G, Bruno A, Cava L, Pandolfo G, Muscatello MR, Zoccali R. The relationship between alexithymia, anxiety, depression, and internet addiction severity in a sample of Italian high school students. Sci World J 2014; 2014: 504376. [http://dx.doi.org/10.1155/2014/504376] [PMID: 25401143] ]. The scale has an internal reliability range of 0.46-0.97 [44Bagby RM, Ryder AG, Schuller DR, Marshall MB. The Hamilton Depression Rating Scale: Has the gold standard become a lead weight? Am J Psychiatry 2004; 161(12): 2163-77. [http://dx.doi.org/10.1176/appi.ajp.161.12.2163] [PMID: 155 69884] ]. A 14 item clinician-administered questionnaire to indicate adult anxiety and recovery. Scores of 8 or higher indicate anxiety [46Bjelland I, Dahl AA, Haug TT, Neckelmann D. The validity of the hospital anxiety and depression scale. An updated literature review. J Psychosom Res 2002; 52(2): 69-77. [http://dx.doi.org/10.1016/S0022-3999(01)00296-3] [PMID: 1 1832252] ], and a nonclinical Italian sample has been found to have a mean score of 3.6 [43Scimeca G, Bruno A, Cava L, Pandolfo G, Muscatello MR, Zoccali R. The relationship between alexithymia, anxiety, depression, and internet addiction severity in a sample of Italian high school students. Sci World J 2014; 2014: 504376. [http://dx.doi.org/10.1155/2014/504376] [PMID: 25401143] ]. The scale has an internal reliability range of 0.74- 0.96 [47Bruss GS, Gruenberg AM, Goldstein RD, Barber JP. Hamilton anxiety rating scale interview guide: Joint interview and test-retest methods for interrater reliability. Psychiatry Res 1994; 53(2): 191-202. [http://dx.doi.org/10.1016/0165-1781(94)90110-4] [PMID: 782 4679] ]. A 20-item self-report scale that assesses primarily somatic symptoms associated with anxiety symptoms. The respondent indicates how often (s)he has experienced each symptom on a 4-point Likert scale consisting of “none or a little of the time” (coded as 1), “some of the time” (coded as 2), “good part of the time” (coded as 3), and “most or all of the time” (coded as 4). The raw total score range is 0–80. In a clinical sample, the test-retest reliability ranges between .81 and .84 over a period of 1 to 16 weeks [49Olatunji BO, Deacon BJ, Abramowitz JS, Tolin DF. Dimensionality of somatic complaints: Factor structure and psychometric properties of the self-rating anxiety scale. J Anxiety Disord 2006; 20(5): 543-61. [http://dx.doi.org/10.1016/j.janxdis.2005.08.002] [PMID: 161 98532] ]. A 40 item self-report measure of anxiety. All items are rated on a 4 point scale (e.g., from “Almost Never” to “Almost Always”). Internal consistency coefficients for the scale have ranged from 0.86 to 0.95; test-retest reliability coefficients have ranged from 0.65 to 0.75 over a 2-month interval [50Spielberger CD, Gorsuch RE, Lushene R, et al. Manual for the State-Trait Anxiety Inventory (Form Y1 – Y2) 1983; Vol. IV]. Evidence attests to the construct and concurrent validity of the scale [51Spielberger CD. State-Trait Anxiety Inventory: Bibliography 2nd ed. 2nd ed.1989.]. On referral to the Psychological Unit the patients have all been given information on the treatment and the current study. All outpatients have been enrolled for an 8-weekly sessions group treatment (2-hour group-based session a week) while following their pharmacological TAU (Treatment As Usual). Patients have been treated with conventional doses of medication, mainly those recommended for the treatment and, during the group treatment, there have been no major changes in the pharmacotherapy. Each session has been run by two co-therapists: a psychotherapist and a psychologist. All the 79 participants have been assessed for the overall psychopathological symptoms, depression, and anxiety before and after the group treatment, and at the 3-months follow-up. The program has been modeled after the clinical programs of the Benson-Henry Institute for Mind Body Medicine at the Massachusetts General Hospital [52Benson H, Greenwood MM, Klemchuk H. The relaxation response: Psychophysiologic aspects and clinical applications. Int J Psychiatry Med 1975; 6(1-2): 87-98. [http://dx.doi.org/10.2190/376W-E4MT-QM6Q-H0UM] [PMID: 773864] , 53Jacobs GD, Rosenberg PA, Friedman R, et al. Multifactor behavioral treatment of chronic sleep-onset insomnia using stimulus control and the relaxation response. A preliminary study. Behav Modif 1993; 17(4): 498-509. [http://dx.doi.org/10.1177/01454455930174005] [PMID: 821 6184] ]. The training has been designed to provide tools for symptom management in outpatients. In the program, patients have been taught a variety of techniques aimed at helping them with their psychological symptoms and as a self-regulatory integrated approach to stress reduction and emotion management including: psychoedu- cation on different topics, from stress to lifestyle well-being; relaxation techniques; mindfulness techniques; and cognitive restructuring techniques. The treatment is described in detail in a study by Truzoli, et al., [16Truzoli R, Rovetta C, Viganò C, Marinaccio PM, Ba G, Reed P. Group-based relaxation response skills training for pharmacologically-resistant depressed and anxious patients. Behav Cogn Psychother 2017; 45(2): 193-7. [http://dx.doi.org/10.1017/S1352465816000400] [PMID: 276 69887] ]. Upon completion of the treatment, at the end of the 8 expected weeks, a subgroup of 39 participants out of 79 (Yes SMS Group) was reached by a weekly SMS for the whole 3 month-period between the end of the treatment and the scheduled follow-up session. The Yes SMS Group was not selected randomly, but according to the date of arrival to the Psychology Unit after being referred by psychiatrists. The text sent by SMS was: “Vi incoraggiamo a conti- nuare gli esercizi anche questa settimana. Praticare il ril-assamento e la mindfulness migliora il vostro benessere” (translation: We encourage you to continue the exercises also this week. Practicing relaxation and mindfulness increases your well-being.) The text message was sent at 5.00 pm every Tuesday. To compare the two subgroup the Mann-Whitney test has been used. The effect sizes (d [54Cohen J. Statistical power analysis for the behavioral sciences 1988. ];) for post-treatment differences between the phases has been calculated in line with Cochrane recommendations [55Shuster JJ. Review: Cochrane handbook for systematic reviews for interventions, Version 5.1.0, published 3/2011. Julian P.T. Higgins and Sally Green, Editors. Res Synth Methods 2011; 2(2): 126-30. ]; in our case, pre-test and three-month test data have been used. All participants concluded the treatment and participated in the follow-up. The pre-test between the Yes SMS Anxiety and the No SMS Anxiety subgroups showed no significant differences in all tests (Mann-Whitney Test: all ps >.06); in the same way, by comparing the Yes SMS Depression and the No SMS Dep-ression subgroups, no significant differences have emerged in all tests (Mann-Whitney Test: all ps >.55). In addition, in the pre-test between the Yes SMS Anxiety and the Yes SMS Depression subgroups, and between the No SMS Anxiety and the No SMS Depression subgroups, there have been no significant differences in all tests. (Mann-Whitney Test: all ps >.10). In pre-test in Yes SMS group and No SMS group, the mean of all the used scales falls within a clinical range. Table 1 for the Yes SMS and No SMS groups shows the means and standard deviations of all the tests used for the three phases (pre, post and follow-up), the percentages of improve-ment between pre-test and follow-up, and the ‘d’ values (effect size) comparing the pre-test and the follow-up. Mean (standard deviations) for overall symptoms (SCL-90 R), depression and anxiety in pre, post and follow-up treatment, as well as the percentage (%) of improvement between pre-test and follow-up, and effect size (d) comparing the pre-test and the follow-up, for the Yes SMS and No SMS groups. Mean (standard deviations) for overall symptoms (SCL-90 R), depression, and anxiety for the Yes SMS Depression and No SMS Depression subgroups in pre, post and follow-up treatment. As indicated in Legenda (Table 1), comparing the Yes SMS with the No SMS groups using the Mann-Whitney test, significant differences have arisen for the HAMD test follow-up (z = -2.35); the HAMA post-test (z = -2.26) and follow-up (z = -4.02). As described in Participants section, Yes SMS group and No SMS group substantially consist of the same number of participants diagnosed with depression or with anxiety; in addition to this, in pre-test the mean of all the used scales fall within a clinical range. Thus, the number of participants in each diagnostic class of the two groups and the initial clinical situation of the participants are unlikely to have a significant influence on the results of the comparison. Regarding the percentage of improvement, both groups have improved, showing a greater improvement for the Yes SMS group for almost all the tests used. It should be noted that the improvement is the result of the comparison between pre-test and follow-up. As a consequence, the outcome reflects the improvement produced by the treatment combined with SMS. The ‘d’ values are medium for SCL - 90 R, around medium for BDI, SAS and STAI; large for HAMD and HAMA, but larger for Yes SMS Group. Table 2 for the Yes SMS Depression and No SMS Depression subgroups shows the means and standard deviations of all the tests used for the three phases. Comparing the Yes SMS Depression with No SMS Depression subgroups using the Mann-Whitney test, significant differences have emerged for the HAMA test at follow-up (z = -2.46). Regarding the assessment of depression, it should be noted that each of the two groups improves from pre-test to follow up, but no significant differences emerge between the two groups. This result will be analyzed in detail in the Discussion. Reference will also be made to the type of text message sent, and to the differences between self-report and clinician-rated scales. Table 3 shows the means and standard deviations of all the tests used for the three phases for the subgroups Yes SMS Anxiety and No SMS Anxiety. Comparing the Yes SMS Anxiety with No SMS Anxiety subgroups using the Mann-Whitney test, significant differences have arisen for the HAMD test at follow-up (z = -2.04), and for the HAMA post-test (z = -2.01), and for the HAMA follow-up (z = -3.47). The results have demonstrated that the treatment has had good patient acceptability, where no participant dropped out of the cognitive behavioral group treatment. Both groups (Yes SMS and No SMS) have improved from pre to follow-up treatment in all the assessed dimensions (see improvement percentages and effect size). Such a result was expected in consideration of the previous evidence [15Truzoli R, Rovetta C, Romanó M, et al. Effectiveness of a cognitive-behavioral group intervention for comorbid anxiety and mood disorders in partially responder outpatients. Act Nerv Super Rediviva 2015; 57(4): 89-97.]. It is interesting to highlight the fact that the weekly SMS, used as a prompt, has seemed to work as simple and effective support for patients. Comparing the two groups (Yes SMS and No SMS), regardless of the diagnosis, the Yes SMS group has shown significantly better outcomes in depression (HAMD) at follow-up, and in anxiety (HAMA) both at post-treatment and at follow-up. Comparing the two subgroups taking into account the diagnoses, the subgroup Yes SMS - diagnosis of anxiety – has shown significant better outcomes in anxiety (HA- MA) at post and at follow-up and in depression (HAMD) at follow-up; the subgroup Yes SMS - diagnosis of depression - shows better outcomes in anxiety (HAMA) at follow-up. The evidence that the Yes SMS Anxiety subgroup has also improved depressive symptomatology at follow-up can be explained by the fact that if anxiety is reduced, patients improve their overall well-being by recovering the hope of a better life, with beneficial effects on their mood. A similar mechanism may explain the evidence that the Yes SMS Depression group has improved anxious symptomatology at follow-up. It should not be excluded that the treatment and practice of relaxation and mindfulness exercises has influenced the symptomatic area common to depression and anxiety (features that overlap in the two diagnostic classes such as muscle tension, sleep disorders, asthenia, irritability, etc.). Moreover, in relation to the comparison between Yes SMS Depression and No SMS Depression subgroups significant differences have emerged for the HAMA test only. It should be noted that all participants with depression improve depressive symptoms; so, we can hypothesize that this has a reassuring effect, with greater impact on the anxious component when the treatment is associated with sending SMS. Furthermore, it could be assumed that sending targeted SMS could be more effective on the mood. Indeed Head, Noar, Iannarino, and Grant Harrington [56Head KJ, Noar SM, Iannarino NT, Grant Harrington N. Efficacy of text messaging-based interventions for health promotion: A meta-analysis. Soc Sci Med 2013; 97: 41-8. [http://dx.doi.org/10.1016/j.socscimed.2013.08.003] [PMID: 2 4161087] ] indicate that the mean effect size of text messaging in health promotion interventions gets close to medium magnitude. In addition, they observed that the larger effect sizes have been found with tailored messages (messages aimed at a specific individual, or based on specific demographic and psychosocial variables) or targeted (messages aimed at a specific group, such as smokers or depressed people). Also the use of personalized strategies – such as using the name of the participants - seems to be useful to improve the effectiveness of the SMS [57Noar SM, Harrington NG, Aldrich RS. The role of message tailoring in the development of persuasive health communication messages. Ann Int Commun Assoc 2009; 33(1): 73-133. [http://dx.doi.org/10.1080/23808985.2009.11679085] ]. Finally, Head et al. [56Head KJ, Noar SM, Iannarino NT, Grant Harrington N. Efficacy of text messaging-based interventions for health promotion: A meta-analysis. Soc Sci Med 2013; 97: 41-8. [http://dx.doi.org/10.1016/j.socscimed.2013.08.003] [PMID: 2 4161087] ] suggest taking into consideration the possibility to plan the timing of when to send text messages in relation to the behavior to be supported (for example, at the end of the working day when a person has to decide whether or not to go to the gym). Thus, considering the typology of participants in this study, it will be interesting to investigate the differential effectiveness of changes in the content of the SMS message and the scheduled time for messaging. It could be possible to make the SMS more personalized (using the participant’s name) and more tailored with respect to the diagnosis (for example, possible mood improvements for participants with depression and possible improvements on worries for participants with a diagnosis of anxiety can be highlighted). Finally, it could be possible to better assess the time at which text messages are sent based on demographic factors, such as the profile of housewife, unemployed or employed. This study employed clinician-rated and patient self-report measures of depression and anxiety. A symptomatological improvement has been detected on both types of scales, but there have been some differences between the degree to which symptoms have been shown to improve according to clinician-rated and patient-rated scales (outcomes of the clinician-rated scales are higher than self-report outcomes). However, it is well known that in the depressive disorder area, the agreement between self-reported and clinician-rated measures is far from perfect, even though there is a correlation rated from moderate to strong between clinician-rated scales and self-reported questionnaires [58Cameron IM, Cardy A, Crawford JR, et al. Measuring depression severity in general practice: Discriminatory performance of the PHQ-9, HADS-D, and BDI-II. Br J Gen Pract 2011; 61(588): e419-26. 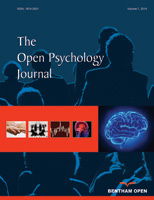 [http://dx.doi.org/10.3399/bjgp11X583209] [PMID: 21722450] -60Domken M, Scott J, Kelly P. What factors predict discrepancies between self and observer ratings of depression? J Affect Disord 1994; 31(4): 253-9. [http://dx.doi.org/10.1016/0165-0327(94)90101-5] [PMID: 798 9640] ]. It could be assumed that this is the case for the Anxiety Disorders as well [61Sartorius N. Classifications in the field of mental health. World Health Stat Q 1990; 43(4): 269-72. [PMID: 2293496] ]. There could be many reasons for these differences, such as a) slightly different foci of the questionnaires used by clinicians and patients, and b) the degree to which particular symptoms may be regarded as important to the patents in their own functioning. Mean (standard deviations) for overall symptoms (SCL-90 R), depression, and anxiety for the Yes SMS Anxiety and No SMS Anxiety subgroups in pre, post and follow-up treatment. In any case, it is reassuring that even at a lower level, there has been a symptomatic improvement even on patient-rated scales. The clinical effect of the treatment can be assessed overall as positive. As was expected, the brief multi-component program has been successful with those patients who prev-iously had shown little change in their symptomatology with pharmacotherapy, despite the fact that patients had been under the same drug treatment dosage the previous three months and during the whole period of group treatment. Symptoms of Anxiety and Depression can be modulated and reduced by learning self-management and self-regulation skills. This short-term treatment offers a cost-effective tool for treating the most common psychiatric disorders claimed in public health settings. If we compare this work with previous ones, this study adds some evidence of the effectiveness of adding the use of SMS to motivate participants to perform relaxation and mindfulness exercises. This effect can also be traced back to the fact that people feel better treated even after the end of the therapeutic process. This supports the compliance with the therapeutic indications that implies inserting exercise into the daily routine. A future hypothesis to be verified could be a change in the content and timing of sending SMS messages, as previously discussed. Finally, it should be highlighted that, unlike several studies, which have used only patient self-report measures of depression and anxiety, this study has also employed clinician-rated measures. Uher, Perlis, Placentino, Dernovsek, Heni-gsberg, Mors, Maier, McGuffin, and Farmer [62Uher R, Perlis RH, Placentino A, et al. Self-report and clinician-rated measures of depression severity: Can one replace the other? Depress Anxiety 2012; 29(12): 1043-9. [http://dx.doi.org/10.1002/da.21993] [PMID: 22933451] ] has highlighted that self-report and clinician-rated outcomes are not equivalent, each of the two providing unique information that is relevant to the clinical analysis. In general, the most accurate prediction of outcomes can be achieved when both, clinician and self-rating assessments, are available [54Cohen J. Statistical power analysis for the behavioral sciences 1988.]. A first observation concerns the fact that the patients to whom the text messages have been sent, had not been chosen randomly. This reflects the observational nature of the study and the usual clinical practice in mental health services; in any case, the two groups equaled at the pre-test in the variables studied. A second limitation is that the sample size when patients are split into two diagnostic classes is small, and so the results should be interpreted with caution. Another limitation is the lack of a control group; so, the gathering of data from the control group can be a future goal. In any case, the improvement after CBGT with respect to the baseline, when participants had undergone only the psychopharmacological treatment, suggests that it might be useful to integrate it with the pharmacological approach. The proposed treatment could, therefore, be considered as one of the tools available to the clinician to work in the perspective of integrated treatments. The manuscript has no individuals’ data, such as personal detail or audio-video material. Standard informed consent was obtained for participation in this research. Author Contributions: Conceptualization RT, CR; methodology RT, CV; collected data CR, EN; analyzed data RT; writing-first draft RT, CV; writing-editing EN, LM, RT; supervision CV. Depression and Other Common Mental Disorders 2017. Nielsen M. CBT group treatment for depression. Cogn Behav Ther 2015; 8: e8. Truzoli R, Rovetta C, Romanó M, et al. Effectiveness of a cognitive-behavioral group intervention for comorbid anxiety and mood disorders in partially responder outpatients. Act Nerv Super Rediviva 2015; 57(4): 89-97. Van Gent E, Knoppert Van Der Klein E. Improving compliance and treatment outcome in bipolar and schizophrenic patients by using Short Message Text Service (SMS). Int J Psychiatry Clin Pract 2010; 14. Depression in adults: Recognition and management | Guidance and guidelines | NICE. Generalised anxiety disorder and panic disorder in adults: Management | Guidance and guidelines | NICE. Spielberger CD. State-Trait Anxiety Inventory: Bibliography 2nd ed. 2nd ed.1989. Cohen J. Statistical power analysis for the behavioral sciences 1988. Shuster JJ. Review: Cochrane handbook for systematic reviews for interventions, Version 5.1.0, published 3/2011. Julian P.T. Higgins and Sally Green, Editors. Res Synth Methods 2011; 2(2): 126-30.